Non perforated paper wiper roll for light duty wiping tasks. Fits Impi Wall dispenser. The Wypall Essential: Small is an ideal economical, hygienic drying alternative. 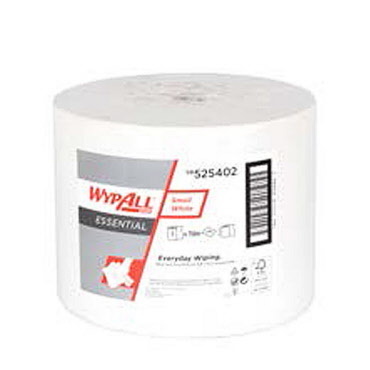 Highly absorbent and versatile for one time wiping, the Wypall Essential: Small is a soft but strong 1ply wiper. Non-perforated 750m length roll allows user to cut the necessary length of wiper as needed. Previously Wypall L10 Impi.